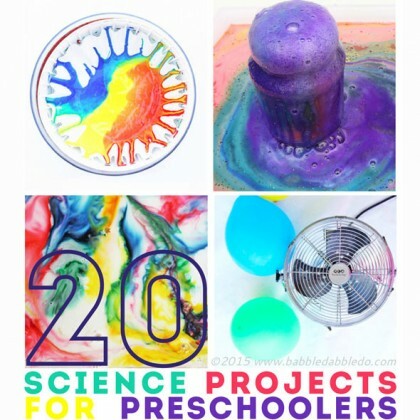 If you are looking for a guaranteed hit science project for kids , look no farther! I know it seems simple but any science project that involves water is pretty much guaranteed to be a success! I told the kids in advance that they had to make a PREDICTION (a good guess) about whether or not an object would sink of float. Have the kids place (or drop….) the objects in the water to see if their prediction is right. I had hoped to keep the whole thing organized by letting children go two at a time and announcing their prediction in front of their friends but as soon we started they surrounded the water table like ants to a piece of fried chicken. To their credit they all shouted out their predictions before dropping their objects in the water! After sorting the objects into separate bins we dumped the objects back on a table and started all over again! 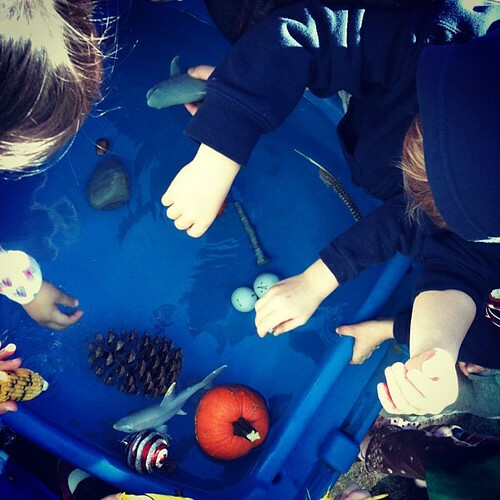 My preschoolers also love testing if objects will sink or float. 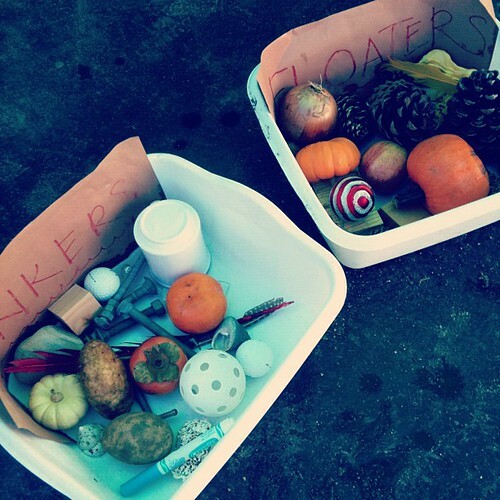 I hope at the end of their intense exploration they will understand that heavy objects do sometimes float, leading to the understanding that something other than the weight of an object is at work here. Density is a difficult concept–no need to introduce it until much later– but this activity is a good foundation for later learning. We often use a large pumpkin or other squash as the heavy object.